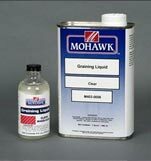 Balanced clear liquid formula for applying grain or base color in spot repair work. Unlike regular “padding agents”, Graining Liquid stays wet on the brush longer. This feature allows the user more time to complete a repair. 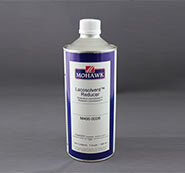 Balanced clear liquid formula for applying grain or base color in spot repair work. Unlike regular “padding agents”, Graining Liquid stays wet on the brush longer. This feature allows the user more time to complete a repair. Mix with Blendal Powder colors using the top of the jar or any other non-absorbent surface, apply grain with style 149 or 50 brush.